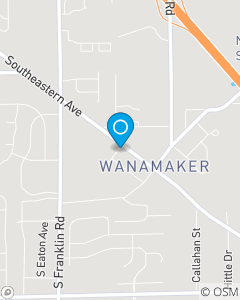 Located in the heart of downtown Wanamaker on the southeast side of Indianapolis. The Shelly Wynn, State Farm team is proud to serve the Indianapolis area with insurance and financial services. With over 90 years of State Farm Insurance experience in our office we hope to be the first choice for all of your Insurance needs. Contact our office today for an insurance review to see where we can help get great value on car insurance, auto insurance, and more. We would love the opportunity to earn your business.